For mothers with young children, getting back into the workplace can be challenging. Brushing up on your skills, updating your CV...where to start?! Well, with a wonderful mix of female business owners and entrepreneurs here at BizSpace, we decided to reach out to a couple of inspirational women to tell us more about their experience. They’ve come armed with handy tips and bags of reassurance. So, whether you want advice on how to ease yourself back into work, or start afresh with your own business, we’ve got you covered. Flexible hours for parents provides the ability to create a work schedule that fits around childcare, whilst still supporting your career in a way that the nine-to-five typically doesn't. Flexible working is becoming increasingly popular, and not just among parents. Businesses are starting to understand that their employees may benefit from different ways of working that can increase retention and productivity. Emma Long, Commercial Director at BizSpace, said: "The workplace is certainly evolving. Today’s labour force is far more focused on work-life balance than previous generations." Laura Brookes, a Franchise Owner at Bright and Beautiful, took up the opportunity when her daughter Imogen was just over a year old. Back in July 2017, she made the bold decision to purchase the franchise based at BizSpace Chorley. So when Laura spotted an opportunity at Bright and Beautiful, she was drawn to them straight away. She said: "Not only do they support parents returning to work; they're an ethical employer, pay above the national minimum wage and are involved with the community. Their values really resonated with me." BizSpace is predominantly occupied by freelancers, micro-businesses, and entrepreneurs. There’s never a dull day, and we’re more than on board with a system that encourages a more diverse workforce. A great way to update your CV and build confidence is to take a short course. The Open University offers a variety of free short courses, ‘Starting your own business’ and ‘Effective leadership and management in education’ are a couple of them. You can find many courses online that can be completed remotely so you can figure out a schedule that works for you. We asked Laura what her advice would be and she told us: "Speak to your local council - they may have programs that support people getting back into work. Our local council has one called 'Chorley Works'. They support people that have gaps on their CV to gain experience." Laura worked with Chorley Works by offering an eight-week placement to a mum who needed help getting back into work. She wanted a career change but struggled to find opportunities with a lack of additional experience on her CV. Hard work and determination paid off; when the placement finished, Laura decided to offer her a permanent position. There's plenty you can do to prepare for getting back into work and building confidence. Kate Henwood, Manager at The Mumpreneurs Networking Club said: "My biggest fear returning to work was not succeeding or getting it wrong." But now, after being a member of the MNC for over six years, she recently took up the opportunity to become the Group Manager for Arundel & Littlehampton and runs a monthly networking event at BizSpace Littlehampton. Kate’s top tip for mum's thinking about returning to work or starting a business would be: "Do it! It’s not as scary as you think and if you join us, you’ll make many friends and learn loads from the other members." If you want to meet like-minded people, share tips, and get advice - networking is a great way to do it. (Plus you never know who you might meet that could help you get your foot in the door somewhere!) Why not set a goal to attend one networking event this month - or, spark that entrepreneurial spirit and set one up. Kate said: "A lot of people join initially to promote their business, but often make new friends and learn from each other; some are new to running their own business and some are experienced - we learn from each other, through collaboration and working together". Be proactive and reach out to potential employers. We asked Laura’s perspective as a business owner and she said: "Don't wait for an opportunity to fall in your lap. I like it when people reach out to me, it’s a great way to demonstrate drive and determination which are values employers are looking for." Start by making a list of your ideal companies to work for. Then, try to find out the best person to contact. Do a bit of research on LinkedIn to find out more about their role at the company. If they share any articles or are part of any groups check them out - It’ll help you build rapport. Next, send them an invite to connect, and add a personalised message. We don’t believe in lucky breaks, opportunities come along, and you’ll have choices to make. Success (however you interpret it) requires commitment from you. Alternatively, starting your own business could be just the ticket between balancing home-life and work ambitions. According to Startup Loans "Three-quarters of British parents would like to start a new business" with the main reasons being increased flexibility and the opportunity to be their own boss. If you like the idea of working from home you could consider having a virtual office. This comes with all the benefits of having your very own HQ - without the need for actual bricks or mortar. However, some people find it hard to work in the same place that they also lounge around in, stuffing their faces with chocolate and watching endless reruns of Friends. So you may find yourself looking into renting office space, or coworking which would be the ideal escape away from that home environment. Even if you find it easy to focus when working from home, (for which we applaud you) as your business expands you might simply end up outgrowing your home space and needing an external office. Laura said: "BizSpace works for me because of the flexibility to adapt the unit to my needs." Laura uses her unit for storing housekeeping equipment and items for her business and has adopted an area inside as an office space. Seek out platforms and groups that support small businesses or entrepreneurs. When you have the support of a network, you’ll be in a much better position to succeed. The Mumpreneurs Networking Club enables small business owners, with family-orientated businesses, to combine networking and running their businesses with family life. They hold monthly networking events and offer tips on their website for small business owners on social media, marketing and PR, and business growth. Enterprise Nation is another great platform. They offer business support and expert advice to their members and have helped thousands achieve their goals. So whatever stage you’re at; from thinking of starting a business to scaling up, they’ve developed workshops and tools to support. Not only that, Enterprise Nation are currently running the campaign ‘She Means Business’ in partnership with Facebook offering support to female entrepreneurs. They’re holding social media workshops across the U.K with an aim to inspire creativity, educate and empower confidence. We've now partnered with Enterprise Nation by offering BizSpace customers 12-months free access to the buzzing community. You can find out more about that right here. To kick-start your new venture, you may be in need of a little financial backing. Start up loans offer government-backed loans of up to £25,000. Alongside the loan, they offer free support and can help you to write your business plan. You could consider crowdfunding through Kickstarter. Elena Favalli and Francesca Cavallo raised $675,614 and are now best-selling authors of Good Night Stories for Rebel Girls. Take a look into grants and bursaries. There are many different options available that support various aspects of business growth, from research and development to business solutions. Bear in mind they can be time-consuming to apply for. You’ll need to do a bit of research to find which ones you may be eligible for, but it could pay off in the end. Women’s Entrepreneur UK is a great place to start for more information on grants. Although society as a whole is becoming more accepting of women returning to work after having a child, there still exists a great amount of pressure and parental guilt over both parents working outside the home. Parents should rest assured that this need not be the case. Having a working mother can have positive impacts on both sons and daughters. 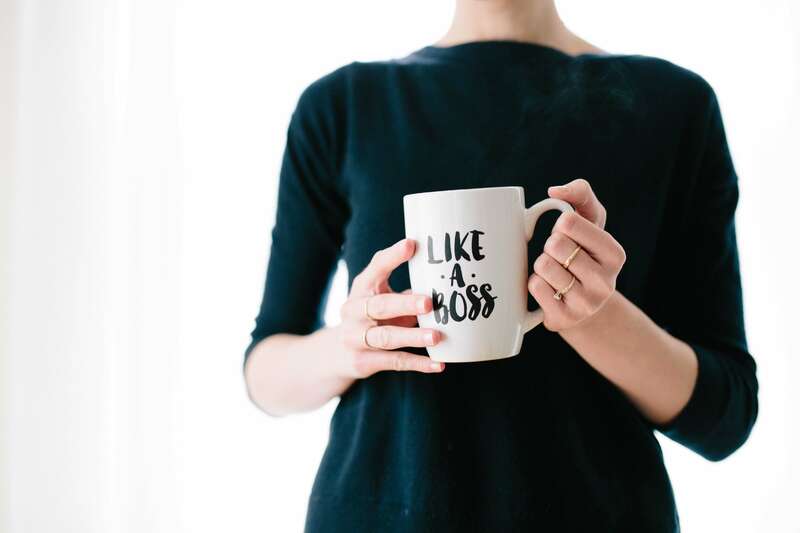 Research undertaken by the Harvard Business School discovered that women that were brought up by working mothers are more likely to earn higher wages and hold senior positions. Men were more likely to participate in household chores and care for family members. Kathleen L. McGinn - Professor of Business Administration at Harvard Business School said: "There are very few things, that we know of that have such a clear effect on gender inequality as being raised by a working mother." Now you’re armed with all the tips to succeed in starting a new venture or pursuing your career; decide on a rough date that works for you to step back into the workforce. Then start with small, manageable goals to reach it.